This is a long video, so below are the times in the video where I discuss each topic. Be sure to tune into next week's video for part 2, where we will discuss morning routine and dealing with exhaustion throughout the day. If you would like to submit a question for the next Q&A segment, please leave your question in the comment section below. 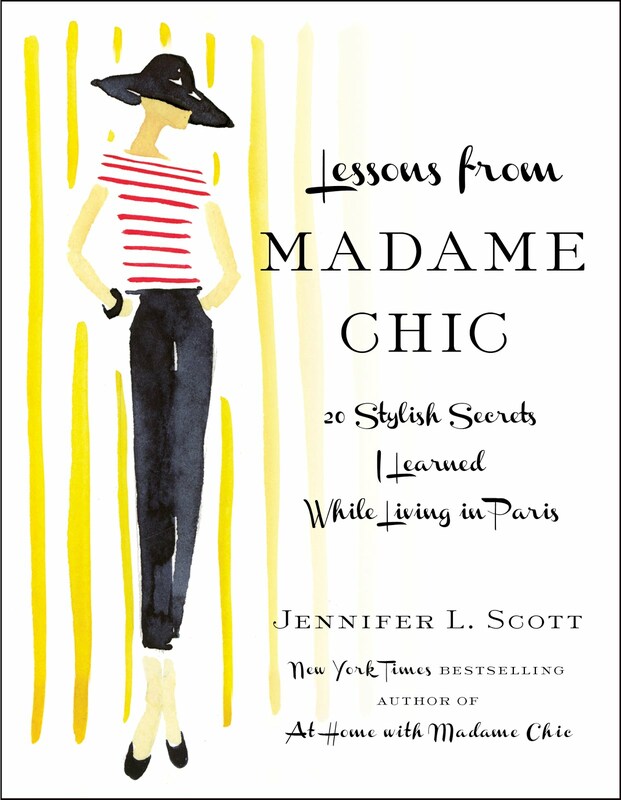 Leanne B. from Classy Yet Trendy blog, writes a lovely review of Lessons from Madame Chic on Sincerely, Jennie. Taylor Jenan chooses At Home With Madame Chic for her February book and tea combo. Life at 523 reviews Lessons from Madame Chic and is having fun with the concepts she's learning. Hi Deb, thanks for your input on raising tidy children. It's great to hear that your sons are continuing their tidy habits into adulthood! We form an opinion about the people we meet within the first 7 seconds of meeting them, many people know this statistic. But it is alarming how many people do not seem to recognize the significance of this number. In 7 seconds you are not sharing with another person your kind nature or your sense of humor or your honesty, you are sharing only your appearance. Now opinions can and should change based on the evidence presented, however we don't always have that opportunity. If you are stopped by a police officer, or run into a potential client at the supermarket, or need to ask an airline attendant for a favor, wouldn't you want to give yourself the advantage of looking like a mature, responsible adult? Hi Emily, I loved your observations about first impressions. Yet another compelling argument for why what we wear matters. This week I would love to hear your thoughts on any of the subjects discussed in this week's video. Be sure to leave me a comment and your comment might be chosen as comment of the week. See you next time for part 2 of the Q&A. Have a wonderful week! I've had many people tell me they wished they could play the piano, but never learned as a child. Of course you can take lessons with a teacher at any age, but for those of you who would like to learn from home, try checking out the Hoffman Academy. The Hoffman Academy allows you to learn the piano online. Designed with the absolute beginner in mind, Mr. Hoffman's lessons teach you not just how to play, but how to read, understand, and create music. After seeing many of my seek out the arts videos, the Hoffman Academy wrote to me about their easy and affordable lessons. Many of the lessons are absolutely free and the materials, such as the complete unit one, are very affordable at around $20. The Hoffman Academy have kindly offered to give away two Complete materials for Piano- Unit 1 to lucky readers of The Daily Connoisseur! So if you've always longed to learn the piano, but never knew how to begin, or if you'd like your children to learn, this giveaway is for you. This giveaway is open to all readers, including international ones. Just enter below. The winners will be announced on the widget in one week's time. Best of luck! For more on the Hoffman Academy, please check out their website or facebook page. This week I would love to know... how are you seeking out the arts in your own life? In this week's video, get ready with me as I show you my everyday 5-minute le no makeup look routine. This is the routine that I use the most on a daily basis: a foundation to even out the skin (in this case, it's a cc cream), some concealer, fill in the eyebrows, mascara, blush and lipgloss. It takes me no time at all and helps me to feel presentable throughout the day. In the video I use: Chanel CC cream, Benefit fake-up concealer (under the eyes), Benefit Boi-ing concealer, Laura Mercier setting powder, Mac eyeshadows (for eyebrows), YSL faux cils burgundy mascara, Hourglass ambient lighting blush in mood exposure and Clinique black honey lipstick. 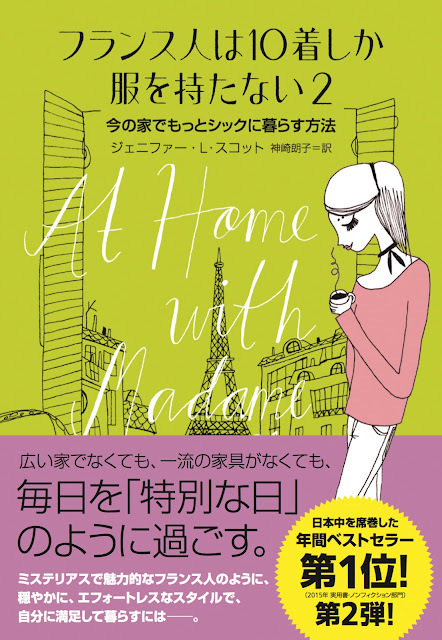 At Home With Madame Chic is now available in Japan. 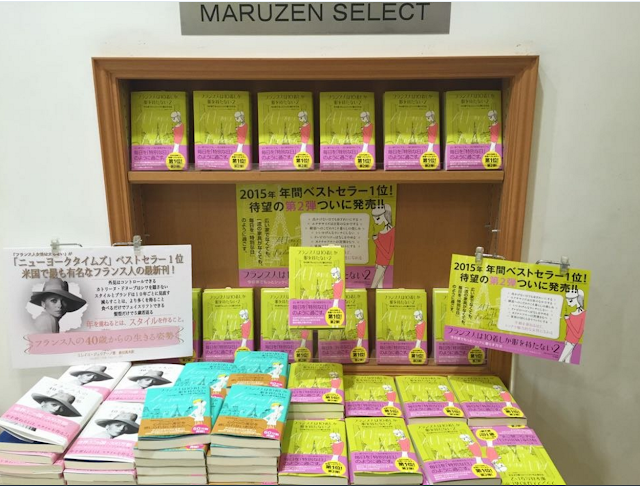 Thank you to the Japanese readers for your wonderful support! Live the Chic Life says that the Madame Chic series speaks to her soul. Sparkles, Lace & Sequins is currently reading At Home With Madame Chic and loving it. Inspired by Polish Your Poise with Madame Chic, Dawn is practicing her poise for Lent with her blog, 40 Days of Poise. 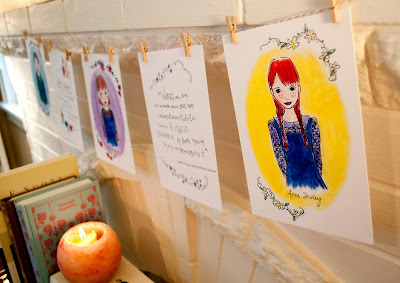 Laurel & Co. chooses At Home With Madame Chic for her book prescription. Britt from The Hello Honey Blog enjoys the less is more persona of Madame Chic. I had the perfect instance last week of why it is so important to always dress presentable. I will admit, 90% of the time, I drop my daughter off at school in work out clothes, because I plan on going to the gym. I always shower and dress before picking her up. On the days I am not going to the gym, it would be so easy to throw on the gym clothes for the morning drop-off, but I generally try to dress for the day on those mornings. Last week, I got up and got dressed, knowing I would not be going to the gym that particular morning. While dropping my daughter off in carpool, the music director of the school (who happens to be a friend and who also happens to NEVER be out at carpool), caught me and invited me back that morning to an Atlanta Opera performance! Since I was dressed for the day, I was ready for whatever the day brought my way, including an impromptu Opera performance! Had I been in my gym clothes, there is no way I would have felt comfortable attending the performance. Hi Ashley, you never know where your day will take you, which is why striving to look presentable always is such a good idea. 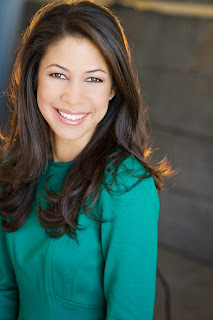 I loved your story and am happy you had a chance to attend the Atlanta Opera. What a treat! Jennifer your video warmed the cockles of this old school marm's heart. Teaching children to help, to organise themselves and to be self reliant is, I believe, as important as teaching them to read and write. When I taught one of the saddest sights at annual camps was teenagers who did not have basic kitchen skills -- clearing, stacking, washing and drying, putting away. Incapable teenagers become incapable adults, they don't magically learn these skills. Age-appropriate contributions to the family home build a child's confidence, skill set and self esteem. Children learn to be both independent and part of a team (the family). I recall that in At Home with Madame Chic you spoke of how Monsieur and Jeune Homme Chic respected the family home and would not scatter their belongings throughout, M Chic even had a place for his pipe. This demonstrates true daily connoisseur-ship, respect for the home, for Mme Chic the chief homemaker and for the family. Hi Rose, I completely agree, basic household skills are something that all children should learn. It's such an important part of adulthood! I loved reading all of the comments from my Raising Tidy Children post. Thank you for sharing your views. This week I would love to know... what is your everyday morning makeup routine? What are your favorite products to use? See you on Thursday for a special piano performance. FTC: All products used in this video and mentioned in this post were purchased by me. All opinions are my own. Raising tidy children. Oh, how I love this topic, mainly because I believe we as parents overcomplicate the issue. We all want our children to be tidy and look after themselves. They won't always live with us, after all, and when they finally leave the house as adults, we want them to leave with good habits to run their own homes. But where do you begin? How early is too early to teach children to pick up after themselves? And what do you do about all that whining and complaining? The real key is to start now. The younger your children, the better to implement these lifelong habits. Don't put it off for another day (or year). Make it fun. If your attitude toward household chores is negative, your children will adopt that same attitude. Avoid approaching your new household rules with a defeatist mentality. You can do this! And (spoiler alert) your children might actually grow to love tidying. Maggie Carlise was expecting frivolity from At Home With Madame Chic, but instead she was pleasantly surprised as she writes in her article called, Reaching for Mindfulness. 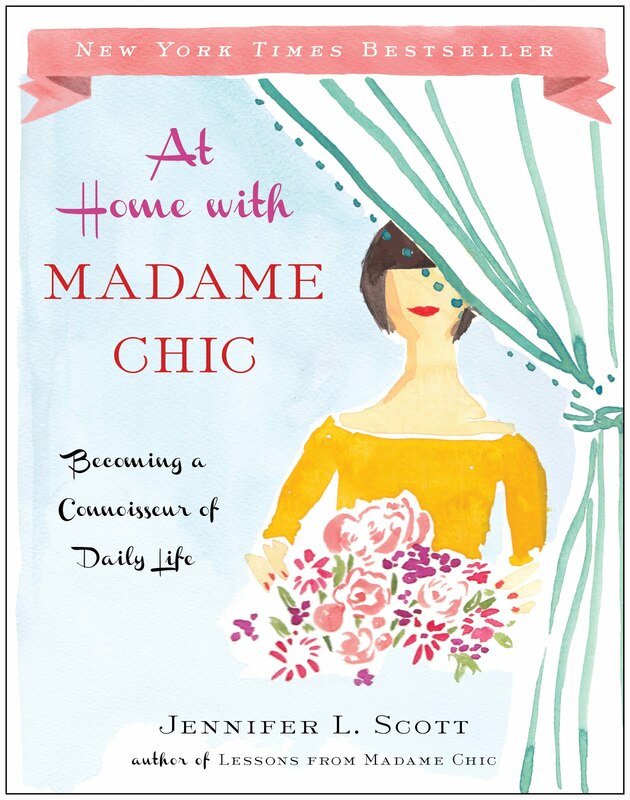 Bella NYC recommends At Home With Madame Chic for it's down-to-earth advice. Colleen Logie chooses At Home With Madame Chic as her book of the month. I think where you get so much resistance is that people still cannot see the wider implications. People are talking about comfort as if there aren't black trousers and t shirts out there that are as comfortable as sweatpants and pyjamas. The reason why people can agree that you should dress for weddings and the theatre is because people (for now) still acknowledge that sense of occasion. The age we live in now, the sense and wonder that accompanies treating daily and perhaps mundane tasks as an occasion is slipping. Going to the supermarket is no longer an occasion, nor is going to the courthouse, nor is going to work. The fluidity that comes with modern times has completely eroded the demarcation between these distinct elements of our lives. As a result we fail to treat it with the dignity it deserves as we cram it into our self-centred ego-driven lives. Comfort is not the issue, nor time, nor budget as these things are not correlated with sloppy dressing. It's about egocentricity. UseHerName3, I really love your well-articulated point, thank you! Well said, indeed. Looking presentable is not about comfort or budget, or even time. These are all excuses that people make. It can be done on any budget. You can find comfortable clothes that are also presentable and it takes no more time to put on a presentable outfit than an old pair of sweatpants. Thank you for your observations. Hi Shannon, I'm happy that the ten-item wardrobe has been so freeing for you! It brings me so much pleasure to hear how it has impacted your life in a positive way. I'm a nonverbal communication professor, and yes, how you dress absolutely matters - how you behave, the messages you're communicating about yourself and others and the situations, how others perceive you. It matters a lot. Hi Rikki, your class sounds so interesting. I absolutely believe that our nonverbal communication is very powerful and something that not a lot of people think about. Thank you for chiming in! Just read your latest book and it is AN ANSWER TO PRAYER! Getting copies for my daughters and all the young women in my life. I have been bemoaning the loss of so many of these things...and gotten a little bit sloppier myself (wearing those exercise clothes too many places!). Thank you so much for this timely tome!! Hi Liz, I am so happy you loved Polish Your Poise with Madame Chic. Thank you for your heartfelt support! This week I would love to know... what are your tips for raising tidy children? Do you struggle in this area? How do your children respond to household chores? I want to hear your thoughts on raising tidy children. Chime in below, and your comment could be chosen as comment of the week! 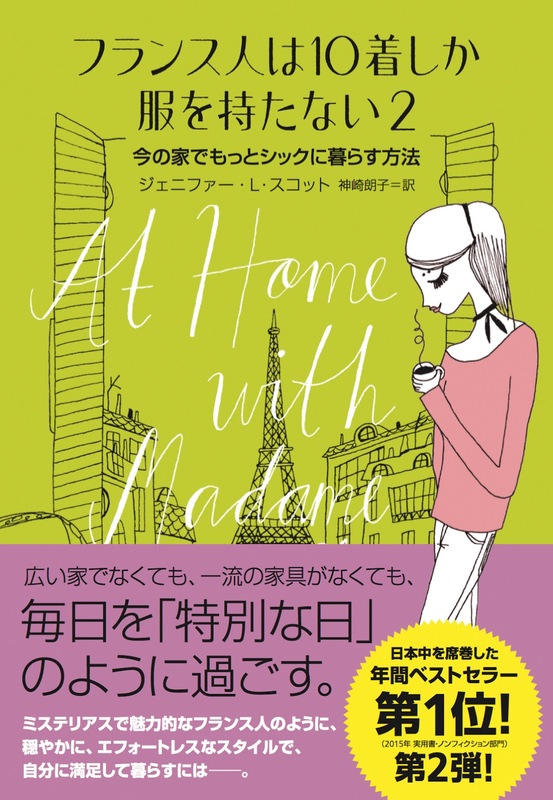 I'm pleased to announce that my second book, At Home With Madame Chic, is now available in Japan. Published by Daiwa Shobo and translated by Akiko Kansaki, this book makes a beautiful companion to the first. I want to give a big thank you to all of the Japanese readers who made Lessons from Madame Chic a number one bestseller in Japan! I feel so grateful for the wonderful reception you have given my work. Arigato! Today, I have a quick video and thank you for the Japanese readers. I hope you enjoy At Home With Madame Chic, and that it sparks passion in your life at home. See you soon! What we wear matters. For some reason, this statement has become a controversial topic of late. Many of us believe that what we wear is important— that dressing is a form of both self-respect and respect for others. But there is an opposing argument to everything. Those who disagree state that what we wear does not matter. That it is none of our business how other people dress and there should not be a dress code for anything. We are living in a world of "anything goes" anyway so why fight it? Standards of dress have slipped rather dramatically over the past few decades. It didn't happen suddenly, it happened gradually, so much so that we didn't notice it, until now. We are starting to see a backlash in the news, like with the British headmistress who sent a letter home to parents asking them to not wear their pajamas to school. Or the San Diego judge who posted a notice on his courtroom wall stating that pajamas are not appropriate attire for district court. This is how bad it's become: adults need to be told to not wear their pajamas in public. Many of the people opposed to the idea that what we we wear matters claim that it is an elitist thing. That we are saying you need to be dressed in the latest brand name or the most expensive items. This could not be further from the truth. People can dress with dignity at any price point, from the smallest to the largest budget. Business Insider article on what to wear to work. Judge asks people to stop wearing pajamas in court. Headmistress in the United Kingdom sends a letter home to parents urging them to not wear pajamas to school. Check out my interview with Germany's Alyona Klameth, from What's Up online magazine, about Paris, Madame Chic and the ten-item wardrobe. Tala Ocampo gets inspiration from At Home With Madame Chic when upping her everyday game. 7 Mouths 2 Feed ponders the ten-item wardrobe in her post called, Brave New Wardrobe. Oh my goodness, I came across this at the right time. I'm a teacher and had parent-teacher conferences last week. Many mothers came to our conference in workout clothes. I make an effort to look professional every day, and it made me feel disrespected that they did not care enough to change before these meetings. Unless you are a personal trainer, make an effort when meeting with your child's teacher! Hi Alison, thank you for giving us one teacher's perspective. We so often only think of ourselves, it's good to wonder how the other party feels. I'm sure you are an excellent example for your students. I just wanted to let you know how much I have appreciated your blog and books. Like many people I have been captivated by the 10 item wardrobe and I'm finally implementing it. I was thrilled to discover how much money I can save when I stay true to my style, and don't feel pulled (too much :) ) by trends. Now I can take advantage of the end of season sales and buy quality pieces for very little. I bought a beautiful winter dress and blouse yesterday for 50% off and will get a bit of wear out of them this season and for many years to come. Thank you and congratulations on your pregnancy! Hi Lynne, thank you for your comment. I loved hearing how the ten-item wardrobe has worked wonders for you. Many people tell me they have read my blog for years and are just now implementing the ten-item wardrobe in their lives. It's never too late! This week I would love to know what you think. Does what we wear matter? If so, why? If not, why not? Please leave your comments in the comment section below and you could be chosen as comment of the week! In the entertaining section of At Home With Madame Chic, I talk about the importance of play for adults. As adults, we can lead such stressful lives with work and family obligations. We think playtime is only for the kids, but really it can be for us too! I attend regular game nights at my friend Juliana's house (I write about her infamous game nights in the book) and they are so much fun. In this week's bonus video we have a very special treat! 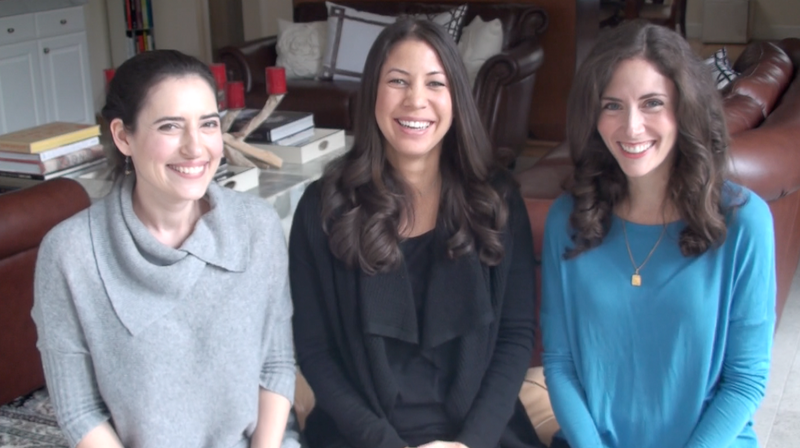 I am joined by my friends Juliana and Ariel, creators of Escape Room in a Box, to discuss the importance of adult play and to create a call to action hopefully inspiring you to throw your own game night. - You are fully in the present moment. - You can connect and bond with your friends and family. - It feels so good to laugh! - It's a wonderful change from the usual night of Netflix or dinner and a movie. - Playing games are a form of escape and help you to de-stress. Juliana and Ariel have created their very own game, Escape Room in a Box: The Werewolf Experiment. This game is so unusual, unlike any game I have ever played at home. It is full of riddles, puzzles, mysteries and surprises. It's a 60-90 min cooperative game where 2-6 players solve puzzles, crack codes and find hidden clues to escape a mad scientist's lab! (So thrilling.) When I sat down to play with our friends, Mario, Liz and Marissa we were in for such a treat and had so much fun solving the mystery. For more information on Escape Room in a Box, or to order your own version of the game, visit Juliana and Ariel's website. The Secret Owl Society cites inspiration from At Home With Madame Chic for looking presentable always. If there is any a time to follow the simplistic, quality-over-quantity wardrobe code, pregnancy is it. Like all mothers know, growing a child depletes physical and mental energy, with stamina concerning one's appearance being the first to go. Effort directed towards a polished ensemble diminishes and oftentimes makes the mother feel less than attractive, which is absolutely absurd because pregnant women always exhibit a radiant glow. Pregnant women should take the time to make themselves feel beautiful; take every opportunity to enjoy being pregnant. Hi Charitie, you make a wonderful point and I couldn't agree more. By the way, you have a lovely blog! This week I would love to know... do you ever host or attend a game night? What are your favorite games to play? Do you want to host a game night but don't know where to start? Let me know in the comment section below. My apologies for the lateness of this post. My youngest daughter has been very ill this past week, but thankfully she is on the mend and improving every day. She is such a trooper! Ever since I announced the news that we are expecting baby number three, many people have asked about my maternity wardrobe and how that will affect my ten-item wardrobe. In this week's video, I give you all of the updates. I do not fit into most of my ten-item wardrobe clothes from winter anymore. I am still wearing the Loft fluid ankle pants because their drawstring waist allows room for my larger stomach. I can also wear the green Talbots tee due to its flowy waist. The floral Garnet Hill dress still fits me as well, but that is pretty much it! I have made supplemental purchases in the form of a sweater tunic from Motherhood Maternity, a knit tunic, two nautical maternity tees, a denim maternity dress and black maternity skirt all from Old Navy maternity. The pregnancy period is such a short period of time, it is a must for me to buy affordable clothes that grow with me through to the third trimester. Because we are in winter, fleece leggings and tights are also a must. In this week's video I show you how I layer my clothes and how you can make a tunic and leggings look more stylish. Please watch this week's video to see all. The shoes I'm wearing in the video are booties from Aerosoles. In the video, I reference Jen Hatmaker's very funny video on why leggings are not pants . Enjoy! 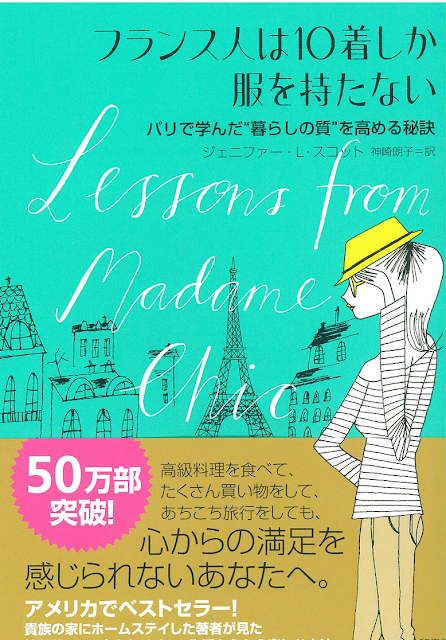 Lessons from Madame Chic tops the list of 6 classy nonfiction books to read on the plane from Hepcat Hannah. Taylor Jenan is bringing Polish Your Poise with Madame Chic in her carry-on luggage. 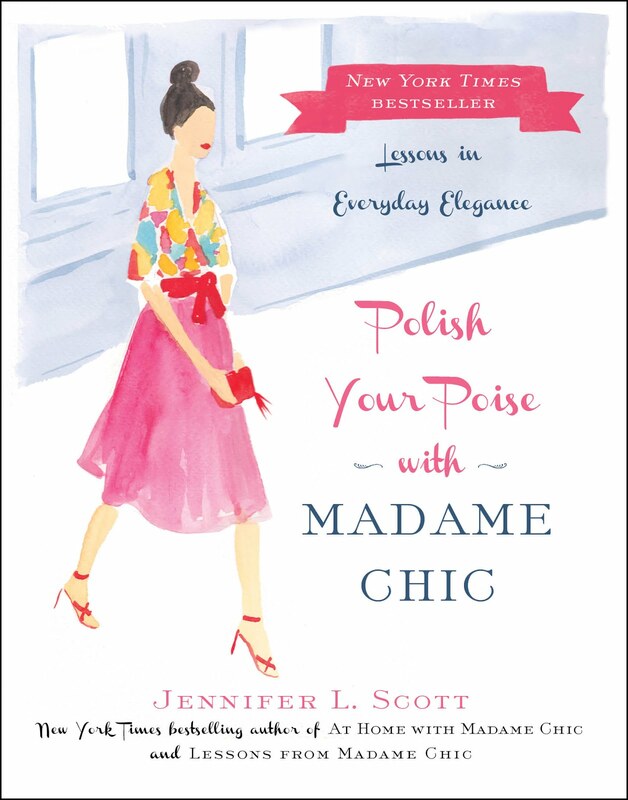 Enter to win a copy of Polish Your Poise with Madame Chic, along with a set of luxurious Christy linens and towels in their generous giveaway. Enter here (for US residents only). My Goodness this is so on time, Jennifer. I have been making some small steps toward de-cluttering and simplifying, but honestly as a stay-at-home-mother without a morning routine I find myself making so many excuses for why I am still in a bathrobe even into the evenings on some days! The truth is I just haven't developed the self-discipline to get myself together. When my husband has a day off I have an impetus to get ready to go out, but if I know I will be home all day I will excuse myself from looking presentable as "no one will see me." The truth is my son sees me everyday, and setting a good example for him should be reason enough. However, it took a surprise visit from my brother-in-law and his wife the other afternoon, while I was in said robe, to realize that it was in my best interest to start taking some pride in my appearance. I was totally mortified. I would never leave the house looking like that, so why subject myself and everyone around me to looking at a woman who literally resembles an Abilify ad, wearing that all-too-comfortable fluffy blue robe? I don't want to be a hot mess (visual clutter) anymore! I am going to start implementing a morning routine because I know deep down, I have been waking up on the wrong side of the bed and staying stuck and wishing I could "catch up." I am going to try to model my routine after some of you ladies! Thanks for sharing & inspiring! Hi Jane, It's wonderful to hear how excited and motivated you now feel to start a morning routine! I find it to be very important to the function of the whole day. Madame Chic had a morning routine too and she never strayed from it during the time I lived with them. Check back in and let us know how it goes! 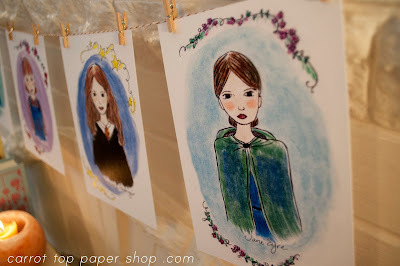 Check out my blogging friend, Jenny Williams', adorable Etsy shop called, Carrot Top Paper Shop. She has created beautiful artwork of famous literary heroines like Anne Shirley, Jane Eyre and Elizabeth Bennet for little girls' rooms. I just adore the idea and her artwork is beautiful. Jenny is so kind to offer my readers a 20% discount all this week. Use the code madamechiclove. Thank you, Jenny! This week I would love to know about your experience with maternity clothes. What works and what doesn't work for your maternity wardrobe? What do you feel most comfortable in during your pregnancies?